What kinds of foods can you cook outside? What's your favorite food to cook outside? Whether you're camping or just enjoying the warm summer weather outdoors in your backyard, there's just something special about cooking some of your favorite foods outside. Do you like roasting hot dogs over an open campfire? How about making s'mores before bedtime? Can you smell those hamburgers on the grill? Cooking outside can be challenging. For example, you don't have all the tools and comforts of a full kitchen. Without a stove, you have to turn to another heat source for your cooking needs. If you're camping, you will probably rely upon a campfire as your heat source. Roasting hot dogs over an open flame is easy enough, but what if you want to cook hamburgers, boil water, or bake potatoes? If you have a metal grate, you can easily cook hamburgers over an open campfire. You could also set a pot of water on the grate to boil water for coffee or hot cocoa. If you want to bake potatoes, you can wrap them in aluminum foil and tuck them into the hot coals of the fire. Just be careful! Make sure your outdoor cooking is supervised by an adult! If you're at home in your backyard, you may use a grill or a smoker instead. These outdoor cooking appliances use charcoal or propane to create fire to cook on. 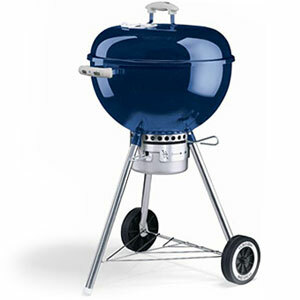 Grills are great for making all sorts of delicious foods, including hamburgers, roasted vegetables, and barbecue ribs. Smokers are great for slow-cooking large pieces of meat, such as roasts. People have made an art form out of slow-cooking meats for barbecue competitions. They use different types of wood to create smoke that helps to flavor the meats. What kinds of foods can you cook outside? While certain types of foods, such as hamburgers and hot dogs, spring to mind, there's really no limit to what you can cook outside if you put your mind to it. Fresh vegetables, for example, can be easily roasted on a grill or over a campfire. With a pot of boiling water, you can even make many types of pasta dishes. And, if you're a fan of s'mores, you know that tasty desserts are always a possibility! People who camp often will tell you that some of their favorite meals are the ones they eat while camping. There's just something about food cooked outdoors that makes it taste even better than it does when cooked at home. For example, have you ever had bacon and eggs fried over an open campfire early in the morning when it's still a bit cool outside? If you have, then you know what we're talking about! The smell of frying bacon can bring the most sleepy camper out of the sleeping bag and over to the campfire. The cool, crisp air of an early morning, combined with the salty crunch of a piece of fried bacon, can make any camping trip extra special! Tomorrow’s Wonder of the Day is an icy and tasty treat. Won’t you join us? How many different ways do you cook meals at your house? Keep a log of all the meals that you eat at home over the course of a week. At the end of the week, look back over your list and count the different cooking methods used to create your meals. Are there more or fewer methods than you thought there would be? What is your favorite cooking method? If you want to get right to the heart of cooking outdoors, make some s'mores! With the help of an adult friend or family member, start a small fire to roast marshmallows. When they're toasty and gooey, sandwich them with some pieces of chocolate between graham crackers. Enjoy dessert in the great outdoors! Cooking outside isn't for everyone! Thanks for sharing, reyda!! killerbees are so disgiusting aidan!!! ughhhhhhhh!!!!!!!!! We prefer to stay away from killer bees, too, Lailony. Hopefully none are around when you cook outside! I don't like cooking outside because there's wasp, killer bees, hornets and bees. Luckily, bees don't usually bother birds, lailony, even if they live in the same place. And hopefully neither birds nor bees bother you when you're cooking outside! I like this wonder a lot! A few years ago, I have been cooking s'mores in a BBQ at a camp. I used 2 chocolate digestives with a melted marshmallow and 2 gummy bears inside! It tasted very delicious. Do you have any wonders on the 4th of July? Hi Wonderopolis, My family got a new grill. My mom likes to cook on it. She made shrimp and corn on the cob on it. It tasted sooooooo good. I love summer it has been good. Has yours? Have a happy WONDERing day. Happy Fourth of July or Independence Day! My dad likes to grill all the time, but when he cooks chicken wings a lot of the time they're burn. Ha Ha. I think tomorrow's wonder will be about diamonds. Happy 4th! I liked how the chef cooked the corn on the grill. I hope to try cooking it like that sometime. S'mores are my favorite to cook, but I do not like when my marshmallows catch on fire. I'm going to go camping this month and I hope we can cook over a campfire. HAPPY FOURTH OF JULY!!!!!!!! Spend time with your family and have fun!!!!! I have a question about the video above. Won`t the corn turn into popcorn? Which outdoor cooking tool is great for slow-cooking large pieces of meat, such as roasts? Chefs in barbecue competitions often flavor their grilled meats by using different types of what? Which of the following is a popular dessert often cooked over an open flame outdoors?